It’s that time of year again; Wasamin’s birthday is coming up, For the last eight years that has also meant that a new Wasamin single is due to come out. Moreover, for the last four years it has meant that she will be holding a big solo concert. 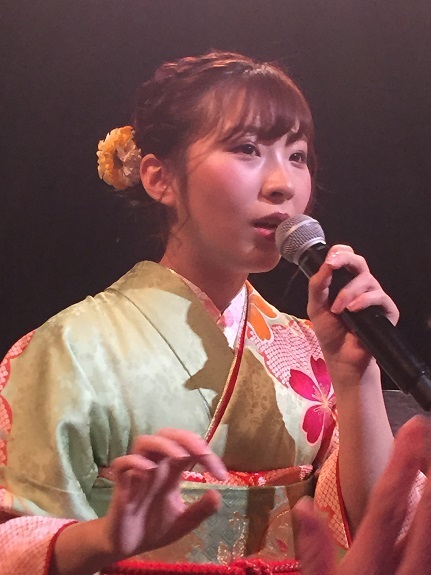 Wasamin’s solo shows have taken on various looks over the past few years. 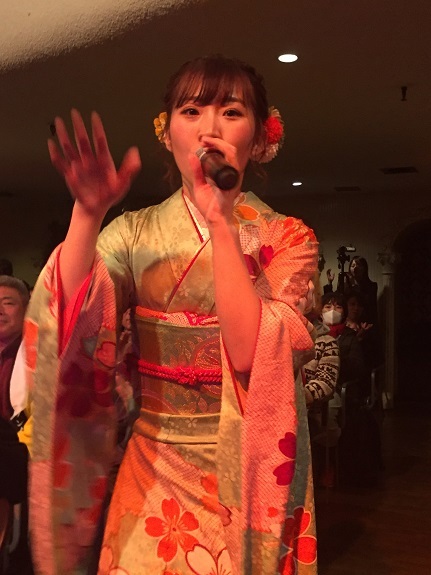 After the first two were at Asakusa Kokaido, the have switched venues for each show. 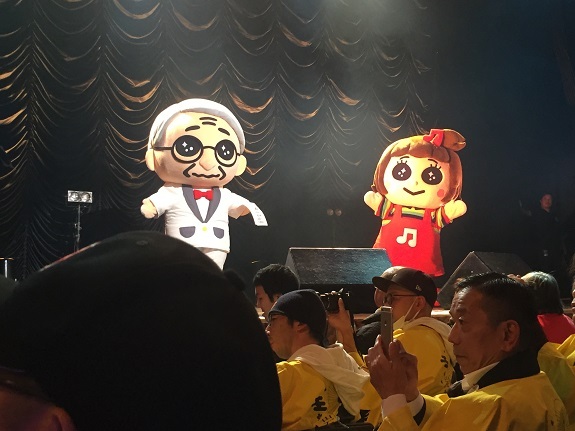 A couple of times they featured multiple shows, like the concerts at Otemachi Yomiuri Hall and Ebisu Garden Hall. 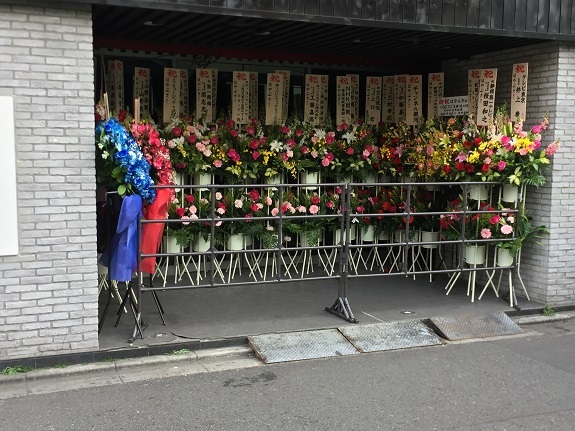 This year the concert was held at the Tokyo Kinema Club, which is just down the road from Uguisuidani Station on the Yamanote Line, next to Ueno. 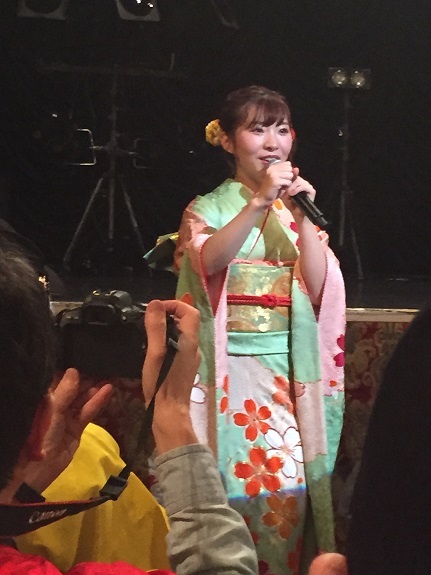 – Post-concert after-party with Wasamin, with more photo/video shooting. 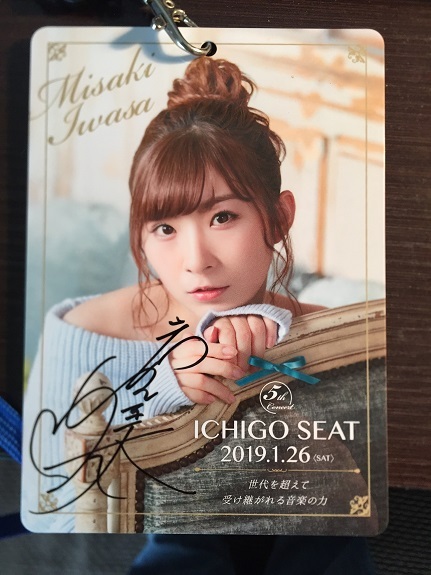 There were also a few additional benefits available for everyone, including a signed clear file for pre-ordering her new single, and a 1-shot cheki giveaway for spending a certain amount at the goods booth. Doors opened for the concert at 6 p.m., but I arrived at 2 p.m. to queue for the goods table’s early-bird window. When I arrived I noticed a ton of obasans milling around in front of the venue. WTF? Since when does Wasamin have so many female fans? 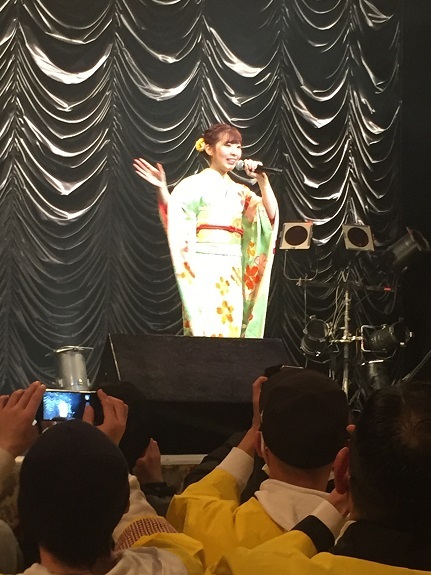 It turned out that Hayabusa, Wasamin’s kouhai group were performing a matinee at the same venue. That explained it. A short time later they formed a queue for Wasamin’s goods, which were being sold outside in the freezing cold. I was around 25th in line, so hopefully it wouldn’t take too long. I was confused by the cheki giveaway. The way I understood it you received one cheki with at least 5000 yen in purchases, and three chekis with at least 10000 yen in purchases. I should also note that there were only 100 chekis available in total. So initially I was a bit ticked off to see that everyone was purchasing the ‘New Goods Set’ for 8100 yen, and then adding one 2000 yen item to get three chekis. I thought “What a bunch of selfish pricks! Can’t they see that there are over 150 people in line? Maybe some of those people would like to get a cheki too.” Some people were even spending 20000 yen to get six chekis. What I didn’t know was that in order to get any chekis you had to buy at least one ‘old item’. So when I bought my new goods for 8100 yen, I asked for a cheki, and they said I didn’t qualify to get one. Confused, I asked a couple of other fans about it, and they thought I should have gotten one as well. So they went to the table and asked, and they clarified the ‘old item’ caveat. They offered to let me buy another item, but at this point I was sorta ticked off about it, not to mention I want to get out of the habit of purchasing things I already have, so I refused. I have a ton of Wasa-chekis already. 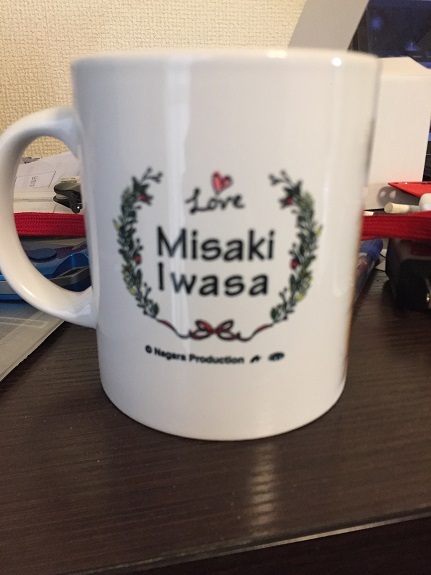 BTW, I forgot to take a photo of the third new item, which is a Wasa-smartphone case since I put my phone in it before thinking of taking a pic. It is actually quite cool looking. Anyway, after pre-ordering the new CD and receiving the signed clear file, I had three hours to kill until doors opened. I camped out at a Dotour a few blocks away sipping coffee, and then moved over to the Hidaka-ya near the venue for a couple of pre-show beers and fried squid. 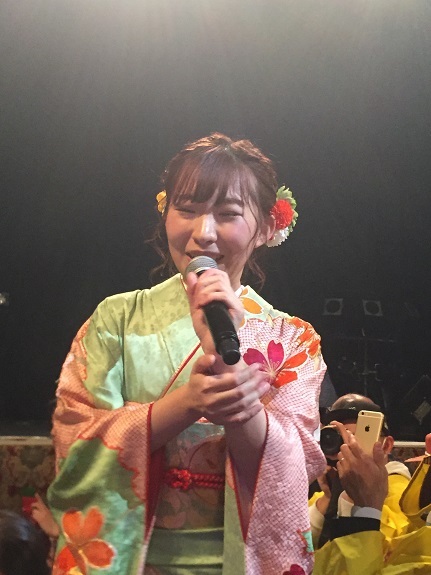 MC (Wasamin talked about her upcoming birthday (Wednesday!) But she also spent a lot of time thanking everyone who has been there for her on this solo career journey, including us as her fans. She really got emotional at one point. For a moment I thought there was a surprise announcement brewing. But no, she was merely reflecting. Ichigo seat holders were told to remain in their seats while everyone else filed out. They put out a bunch of candy and snacks for us to munch on while we waited for Wasamin to appear. 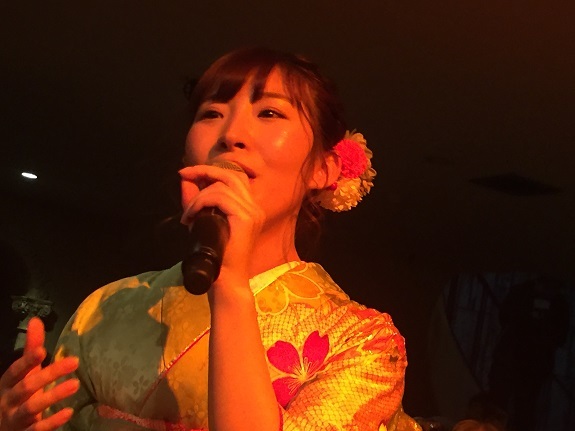 We were also given a bottle of Oolong Tea for the “toast.” Wasamin eventually came on stage and did the toast. She was really interested in what we were given to drink. “What is that? Oolong Tea? Itoen?” She was given a bottle as well, but interestingly when we toasted I noticed she didn’t really drink anything. Ichikawa-san (Wasa-manager) ran onto the stage with a bottle of Aquarius (tastes the same as Pocari Sweat), and switched it. 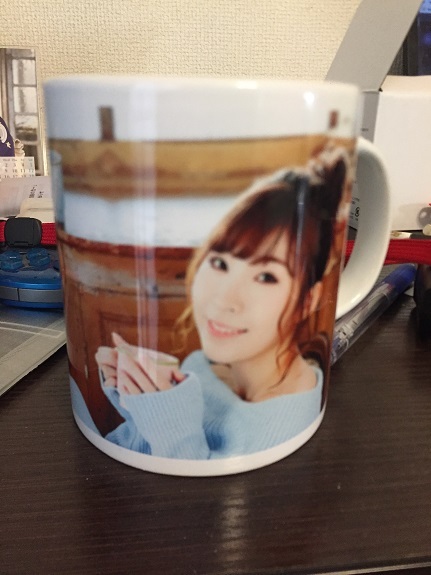 Does Wasamin not like Oolong tea? 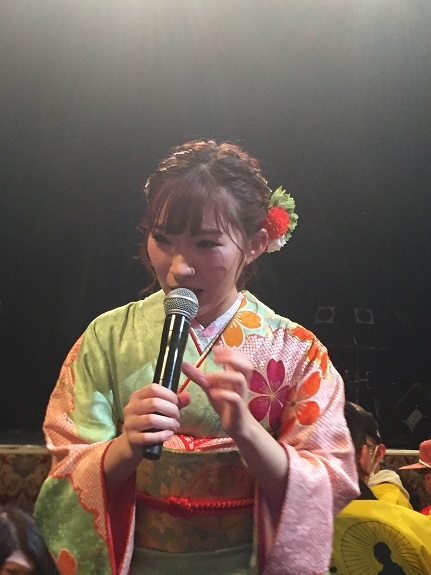 After that was a short Q&A session, where Wasamin answered four random questions drawn out of a box, and then she bid her farewell. At the end I was hanging out by the door since my friend was waiting for me at an izakaya around the corner. I wanted first dibs at the exit. We celebrated with a Yakitori dinner at Torikizoku. My overall impression? Wasamin sounded great. Her song choices were really good. Oh, during the Q&A someone asked how the concert setlists are decided, and it was revealed that her manager, Ichikawa-san has a lot to do with that. The MC with Hiroshi-san and Kanade-chan was cute, but could’ve been executed a lot better. On the other hand, the VTR was kinda disappointing in that it felt like it was thrown together at the last minute. Not to mention they usually have some sort of special VTR retrospective of Wasamin’s past year, but that didn’t occur. I was not impressed with Kinema Club as a concert venue. It was small, cavernous, and quite dark. It made photo-shooting quite difficult. It wasn’t as nice as the places she has performed before, although the location was really convenient. I would also re-think the idea of giving the Ichigo Seat holders additional shooting time, I think the negative experience of those who couldn’t take pics during that song outweighed the positives for those who could. 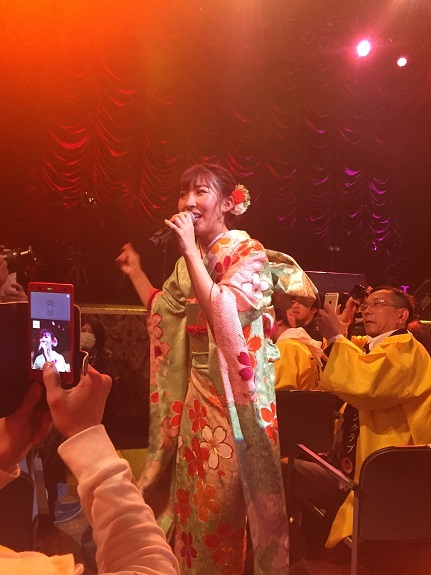 The good news was they had just announced that Wasamin would be doing a promotional mini-live in Saitama the next day, so it would be a great opportunity to discuss the concert with her one on one. That writeup is coming up! 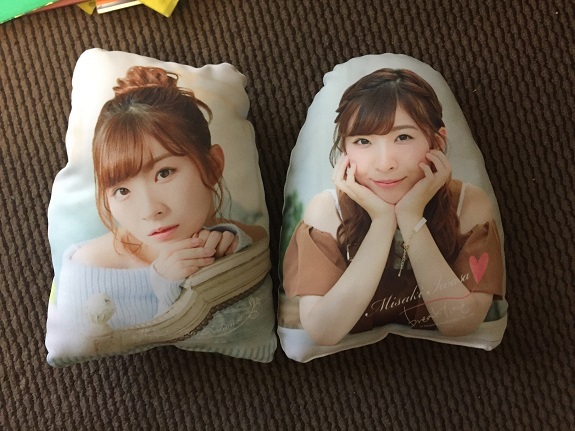 Previous Wasamin Solo Concert Coming Up This Weekend…Here are the New Goods!